Discussion in 'Effects, Pedals, Strings & Things' started by teefus, May 9, 2016.
i contacted pv parts about getting a replacement cable for my amplink hd. it connects the amplink hd to my macbook pro (usb on that end). they said i need to contact apple to get the cable. 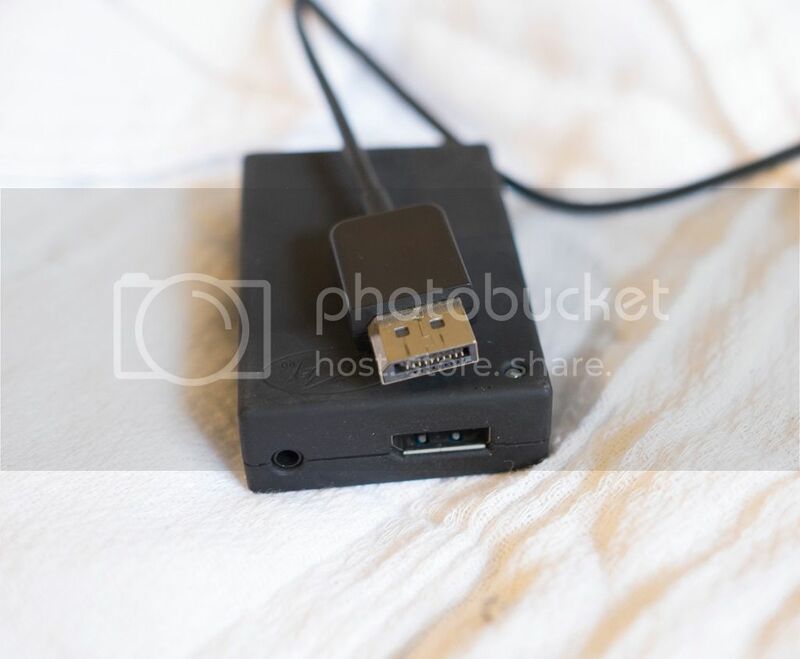 can't figure out what the amplink hd end of the cable is. any help is greatly appreciated. it appears to be similar to an hdmi end but one side is squared off and it is not symmetrical. That's a DisplayPort plug. Obviously a one of a kind thing. Who thought that would be a good interface cable idea needs to be flogged. awesome! thanks for the info. i never would have figured that one out. having a devil of a time finding a display port to regular usb cable now. probably just going end up ditching the pv amplink hd and getting a different interface. thanks again. Peavey should provide the cable. It looks proprietary to me. Display Port is not adaptable to USB without some intermediate device to convert the signal format. That's why you can't find the cable anywhere. thanks for the response. pv parts said they did not have it. the original pv cable is straight display port to usb. nothing in between. They might not have it because that product has been discontinued. But I doubt you'll find it anywhere unless someone has a spare they aren't using. That is not a standard cable. I don't know why they would send you to Apple.